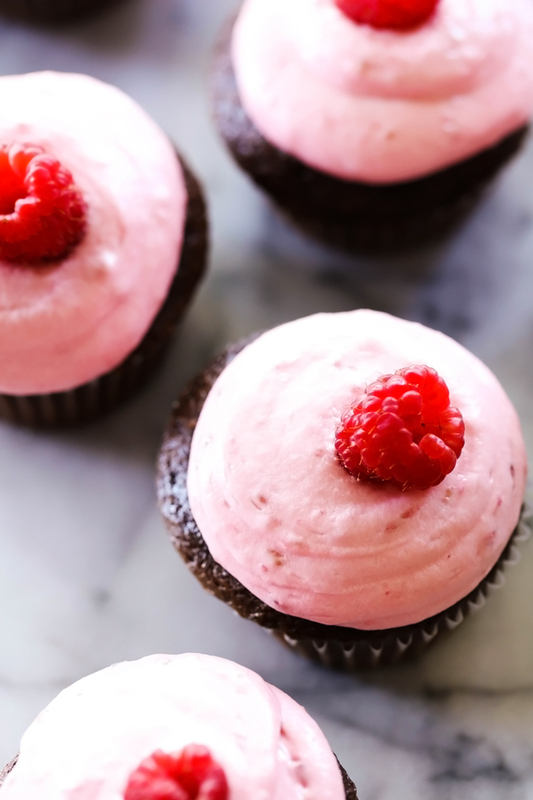 A creamy and delicious Raspberry Buttercream Frosting that is absolutely heavenly! It is made with fresh raspberries and the flavor is wonderful! I have been on such a raspberry kick lately. I absolutely ADORE them! 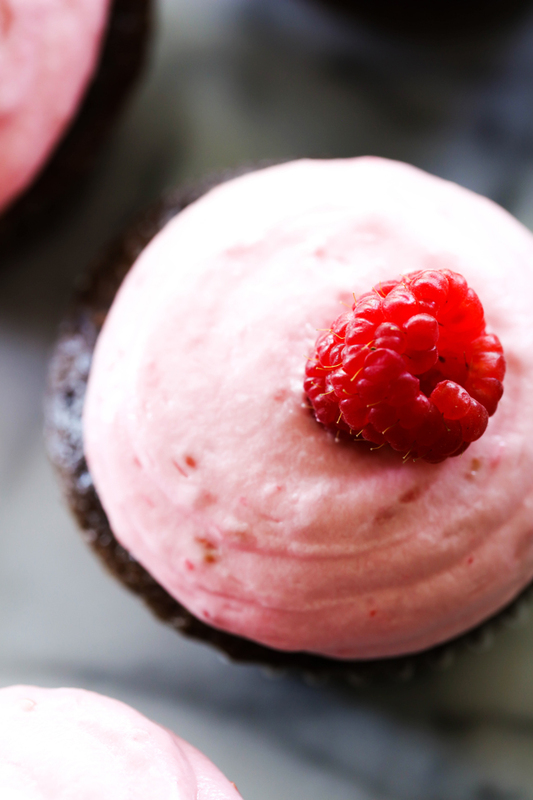 Which is why this Raspberry Buttercream Frosting was an absolute no brainer for me! You guy. This frosting is absolutely INCREDIBLE! 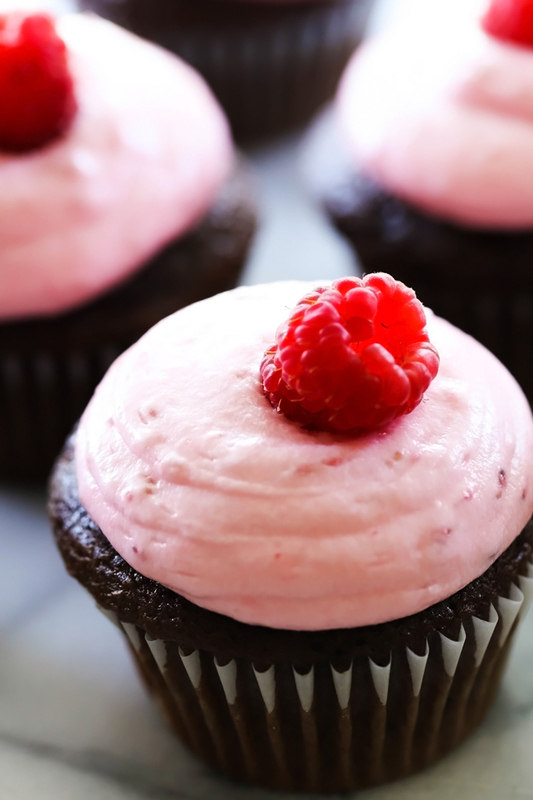 It uses fresh raspberries and has a fresh fruity taste to the creamy buttercream base. This was perfect topped on some chocolate cupcakes! Everyone went crazy over them and I know you will love it just as much as we do! Raspberry & chocolate are a match made in heaven! How much does this recipe yield? And what would it be used for, ie would it frost 12 cupcakes? fill a 9" round 2 layer cake? frost what size cake?